PL/SQL tutorial provides basic and advanced concepts of SQL. Our PL/SQL tutorial is designed for beginners and professionals. PL/SQL is a block structured language that can have multiple blocks in it. Our PL/SQL tutorial includes all topics of PL/SQL language such as conditional statements, loops, arrays, string, exceptions, collections, records, triggers, functions, procedures, cursors etc. There are also given PL/SQL interview questions and quizzes to help you better understand the PL/SQL language. SQL stands for Structured Query Language i.e. used to perform operations on the records stored in database such as inserting records, updating records, deleting records, creating, modifying and dropping tables, views etc. PL/SQL is a block structured language. The programs of PL/SQL are logical blocks that can contain any number of nested sub-blocks. 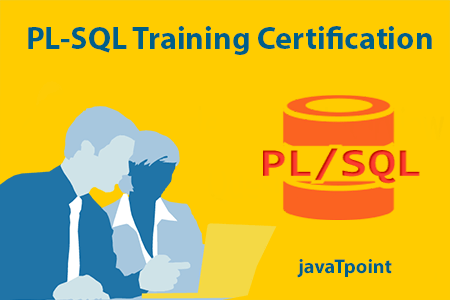 Pl/SQL stands for "Procedural Language extension of SQL" that is used in Oracle. PL/SQL is integrated with Oracle database (since version 7). The functionalities of PL/SQL usually extended after each release of Oracle database. Although PL/SQL is closely integrated with SQL language, yet it adds some programming constraints that are not available in SQL. PL/SQL includes procedural language elements like conditions and loops. It allows declaration of constants and variables, procedures and functions, types and variable of those types and triggers. It can support Array and handle exceptions (runtime errors). After the implementation of version 8 of Oracle database have included features associated with object orientation. You can create PL/SQL units like procedures, functions, packages, types and triggers, etc. which are stored in the database for reuse by applications. With PL/SQL, you can use SQL statements to manipulate Oracle data and flow of control statements to process the data. The PL/SQL is known for its combination of data manipulating power of SQL with data processing power of procedural languages. It inherits the robustness, security, and portability of the Oracle Database. Before learning PL/SQL, you must have the basic knowledge of SQL and programming language like C.
Our PL/SQL tutorial is designed to help beginners and professionals. We assure that you will not find any problem in this PL/SQL tutorial. But if there is any mistake, please post the problem in contact form.